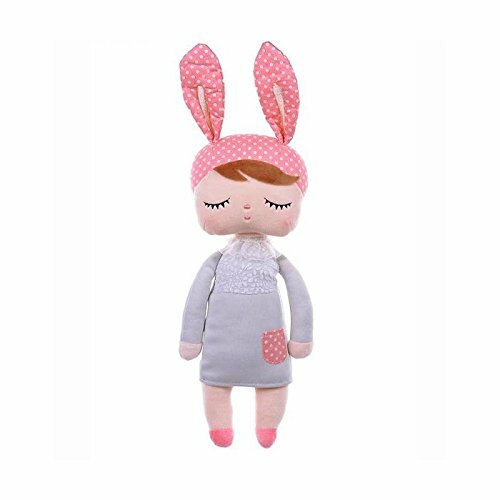 Metoo Angela Sleeping Bunny Rabbit Girl Pink Ear Wear Gray Dress Stuffed Plush Baby Dolls Toys Specification: Made of high quality safety environmental fabric: cotton cloth+PP cotton filler.Could be washed. Size: 12*4inch/30*10cm in Heigh*width. Weight: appox 0.18kg Package included 1*metoo bunny girl doll+ 1*original paper gift bag. Every seam is tight and well stitched as picture show. Adorable bunny long ear could be curved. Sleeping bunny girl looks so happy,we could not stop looking at her. Sweet gift for Easter day decor,children's birthday,christmas,thanksgiving,mother's day and other memorial day. Collectible dolls for toys collector. It is a collectible stuffed girl's dolls, each series have different story, and you can find the whole set collection in our shop. More popular Metoo dolls include: Tiramitu bunny, Thumb bunny, Angela girl, Dreamy girl, Farm friends, Lover bunny, Wedding bunny etc. Item stays in a smoke-free, pet-free environment. Commitment: All items are brand new as the picture, if for any reason you are not happy with any product from our store, please do not hesitate to contact us,we will try our best to resolve it. We take full responsibility for the quality of our products.Any question,please feel free to contact us. Description: Material : Plush & PP Cotton. Height:42CM. Color: Pink,Red,Orange,Blue,Green,Purple. Gender:Unisex. Item Type: Animals. Features: *100% brand new and high quality. 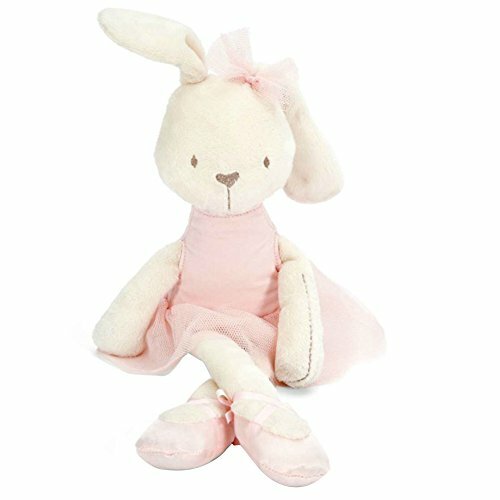 *Soft and Lovely design rabbit doll; *An essential companion in babyhood. *It will bring great fun to baby and let your baby sleep better. *It is safe and nontoxic for your babies and also comfortable to touch. 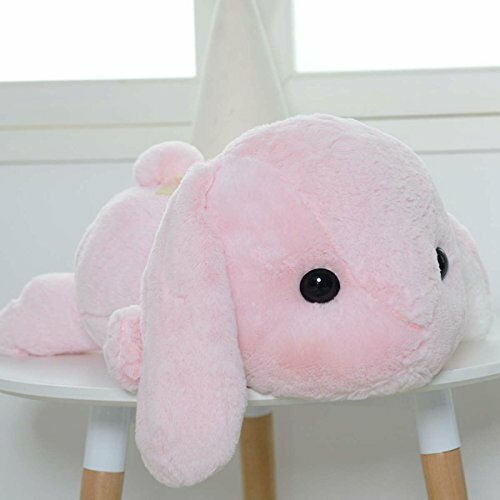 Package included: 1 x Baby lovely Rabbit Comfort Plush Toy. 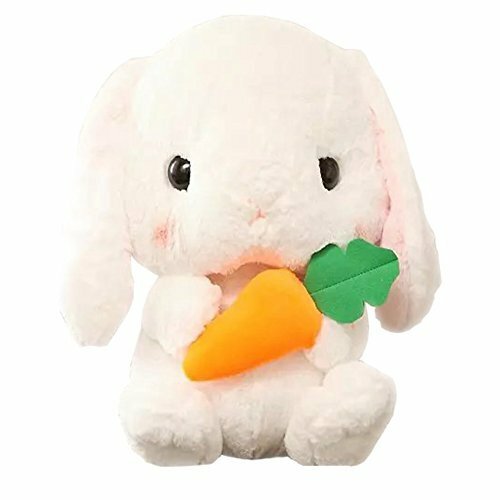 Buy this bunny for a baby or toddler, and you will want to keep it for yourself. Soft and cute factors are off the charts! 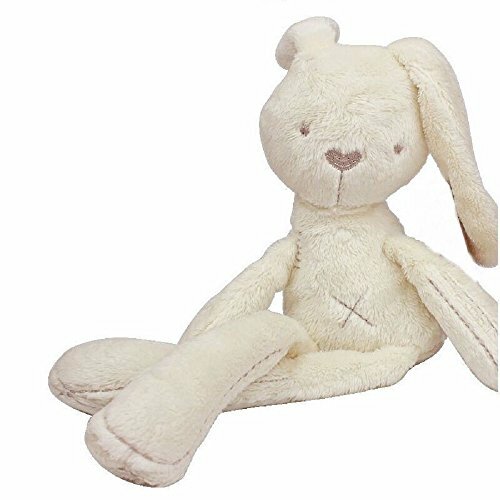 Our rabbit is perfect as a child's first "bubby" doll or a toddler's permanent snuggle bunny. Purchase it as a gift, and your gift receiver will NOT be disappointed. Skin-friendly：High-grade plush fabric，modeling realistic cute and soft touch Not afraid to squeeze and easy to clean Use top-level 3D fiber filler, fully guaranteed plush toys flexibility and security Comfortable crimped fiber has a good feel,maintaining excellent bulkiness The dimension may have 3-5cm error because of pure manual measurement and different measurement techniques.Please understand! 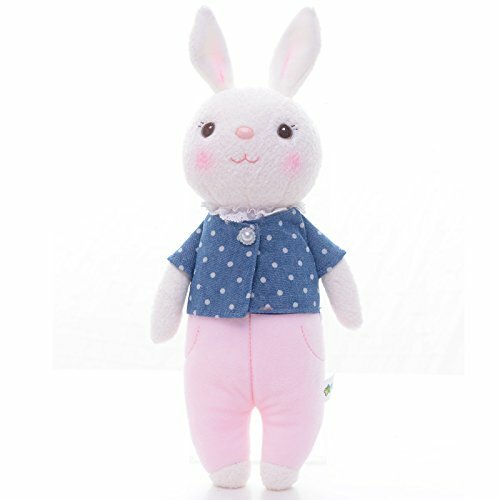 Me Too Tiramitu Stuffed Bunny Dolls Plush Rabbit Toys Blue Jeans Dots Coat 12 Inches Size: 30*10 cm (12*4 inches) in Height*width. 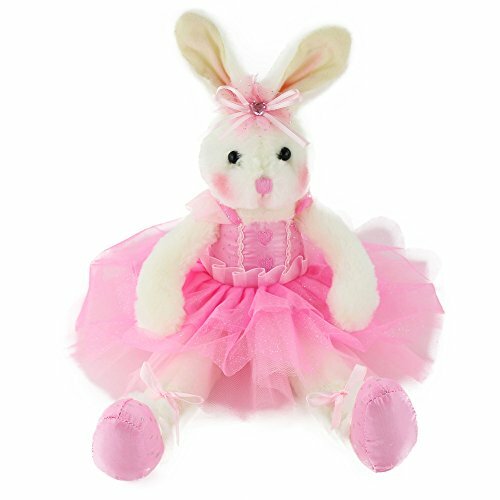 Package included 1 pcs bunny doll Made of high-grade environmental protection soft plush fabric which is safe to baby , include cotton cloth+Polyester+100% Polyester Staple Yarn.All new material Can be machine washable and dryer Every seam is tight and well stitched as picture show. Adorable bunny long ear could be curved. Sweet gift for wedding,anniversary,Saint Valentine's Day,lover's birthday,mother's day ,Easter day decor,Christmas,thanksgiving and other memorial day. It is a collectible stuffed girl's dolls, each series have different story, and you can find the whole set collection in our shop. 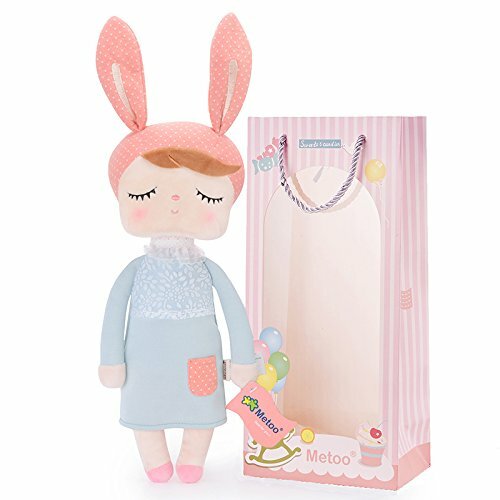 More popular Metoo dolls include: Tiramitu bunny, Thumb bunny, Angela girl, Dreamy girl, Farm friends, Lover bunny, Wedding bunny etc. Item stays in a smoke-free, pet-free environment. Commitment: All items are brand new as the picture, if for any reason you are not happy with any product from our store, please do not hesitate to contact us,we will try our best to resolve it. We take full responsibility for the quality of our products.Any question,please feel free to contact us.